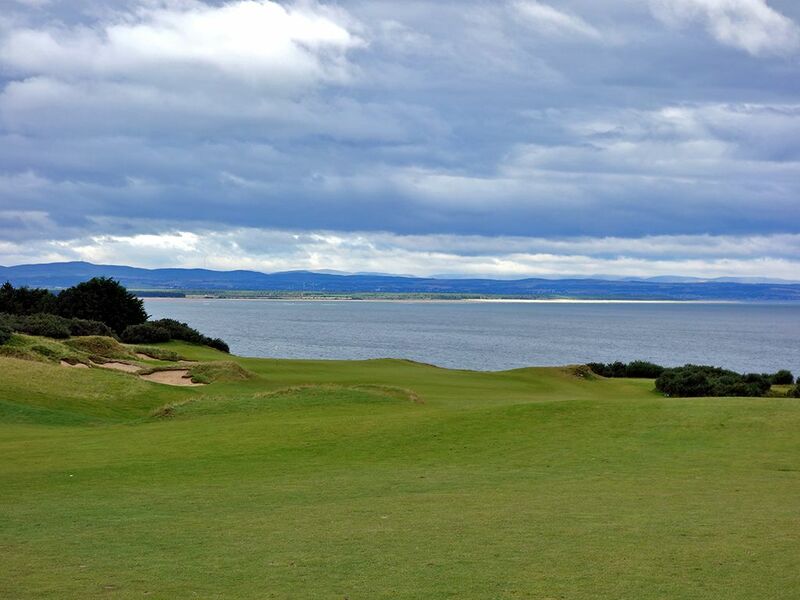 Course Website: Official Website - Visit St Andrews Links (Castle)'s official website by clicking on the link provided. 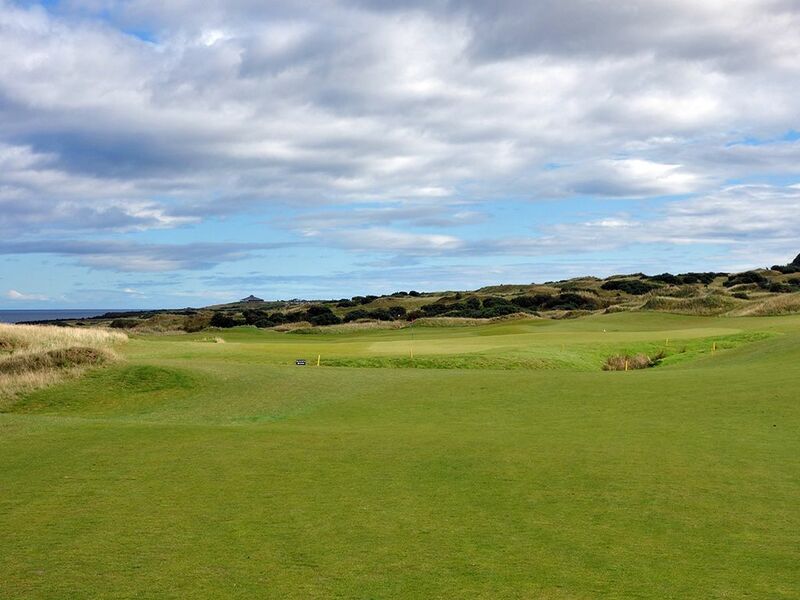 Accolades: Ranked 8th in Scotland by Golf Course Gurus. 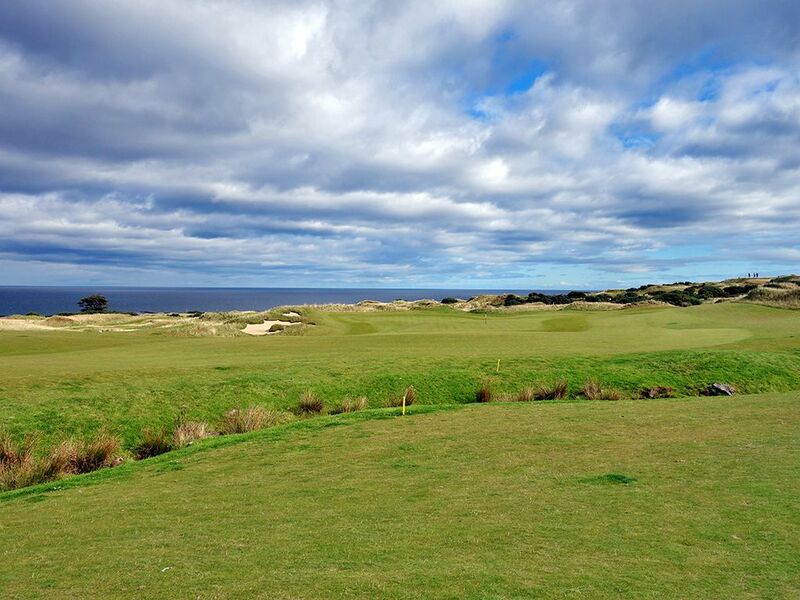 What to Expect: The newest of the courses at St Andrews is located less than 5 miles down the coast from the Old course and just over 5 miles up the coast from rival Kingsbarn. Unlike the Old course that features flat terrain that is easy to walk, the Castle course boasts major elevation changes throughout the routing including a huge climb to start the back nine. The downside is that your calves will be whining, but the upside is that your retina's will get a full dose of eye candy with expansive views across the course and ocean. Tom Doak famously gave the course a 0 on the Doak Scale in his Confidential Guide to Golf Course Architecture series which stems mainly from how difficult the course is for the average player, particularly around the greens where balls will frequently carom off the putting surfaces and into bunkers or tight chipping areas. That being said, I don't agree with Doak's extreme critique and feel the course is a lot of fun to play despite its difficulty. The routing takes players on an adventure both architecturally and visually with plenty of variety from the first tee to the final green. 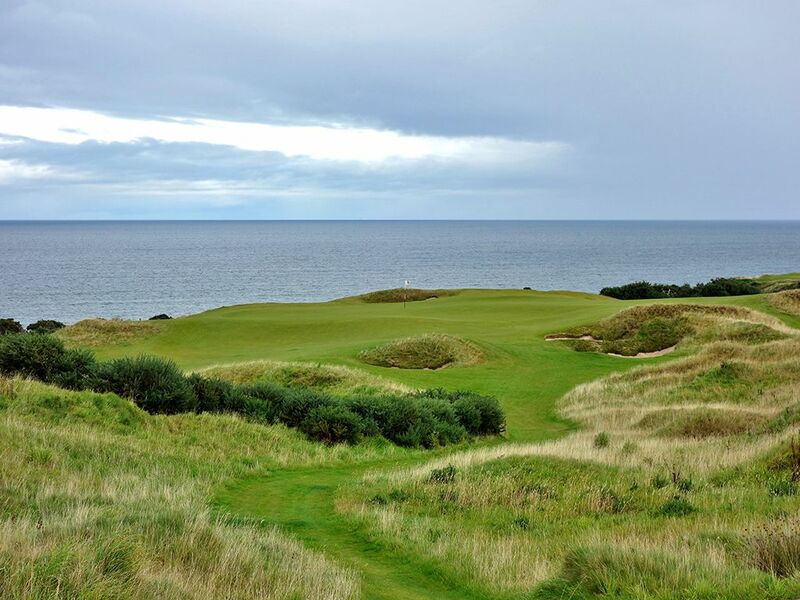 Speaking of the final green, it is actually a double green with the 9th hole and pays homage to the Old course that is famous for that feature. The walking-only course gives players the option of carrying their own bag, hiring a caddie (schedule in advance), or taking a trolley for a small fee. Overall it is worth the detour from town to play a round at this unique course that is fun, scenic, and memorable. Signature Hole: 6th Hole – 421 Yard Par 4 – My first "wow" moment came on the 6th hole that plays well downhill enroute to the green. The tee shot presents a blind landing area with a barber pole standing as the aiming point to this slight dogleg left. 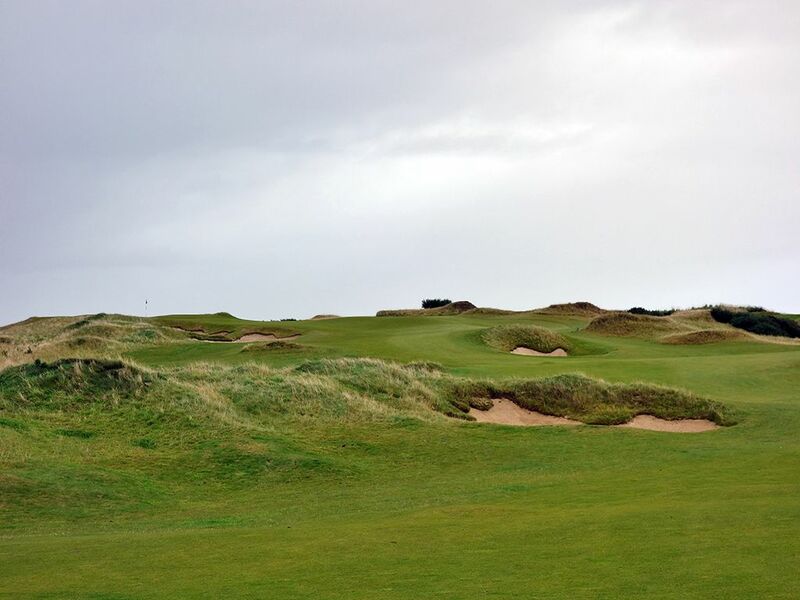 Numerous bunkers and swells come into play after cresting the hill with the fairway tumbling down towards the sea with expansive views of St Andrews and the surrounding hole. A drawing approach shot into the green that counteracts the terrain that slopes left to right is the optimal play and also takes the left greenside bunkers out of play. At this point in your round you are going to be kicking yourself if you didn't bring your camera. Best Par 3: 17th Hole – 184 Yards – Many would argue that this is the signature hole of the course and I wouldn't say they are wrong. 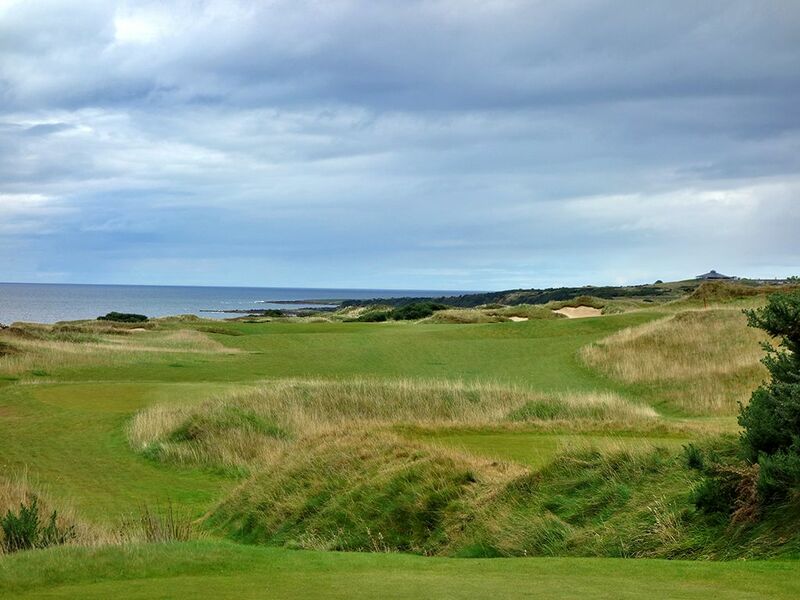 An incredible cliffside green awaits at this hole that looks like something more out of Hawaii than it does Scotland. The carry can be deceptive as the green cuts back to the right and away from the player with the only option of missing short being to the far left. A back right pin is just begging for trouble so take an extra club to virtually any pin in order to increase your chance of safety. A cut shot can utilize the terrain to run onto the putting surface if you prefer the ground game, but whether you go low or high with your approach, you better be dialed in because this visually spectacular hole demands your best. 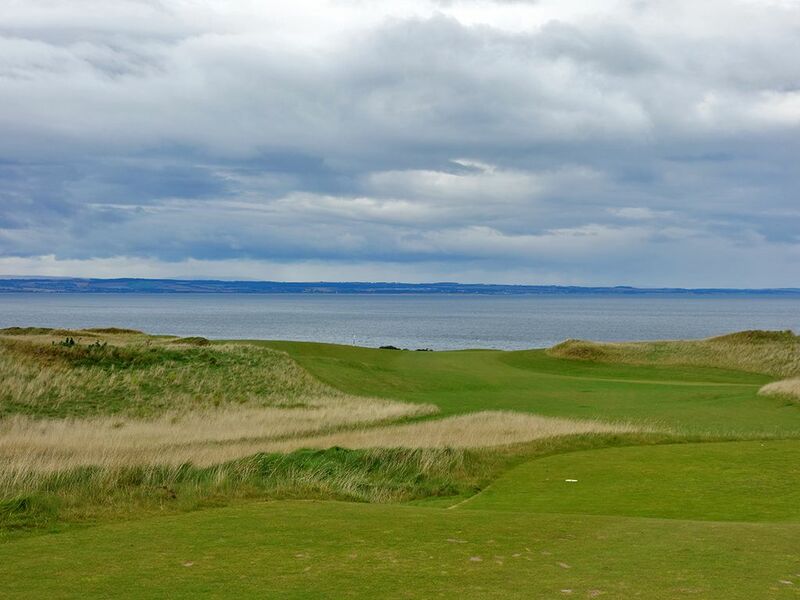 Best Par 4: 7th Hole – 456 Yards – Like Kingsbarns down the road, you simply can't knock the setting of the Castle course with its elevated views of the sea and surrounding area, and you get to experience that again on the 7th hole. 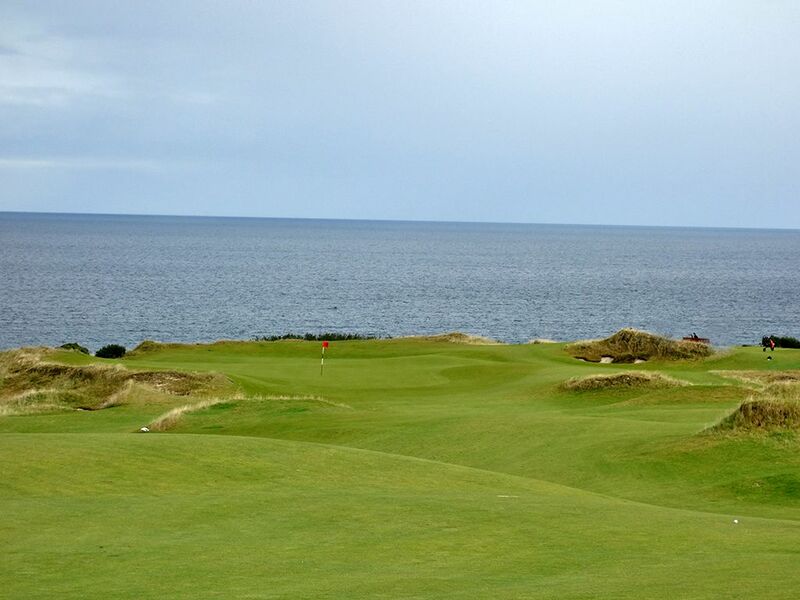 This cliffside par four traverses downhill to a green perched above the ocean at one of the more impressive sites in Scotland. The tee shot needs to carry, or play right of, the bunker collection on the left side of the fairway approximately 250 yards off from the back tees. Successfully maneuvering that will set up an optimal angle for approach that should carry the various hills and fescue covered lumps along the way to the putting surface. From distance, a drawing approach shot is the prime way to attack this green as it can avoid the bunker protecting the left side while utilizing the slope in the terrain to chase up onto the putting surface. The closing holes on the front nine are simply spectacular and this hole is a significant reason why. Best Par 5: 4th Hole – 540 Yards – The first of back to back par fives, the 4th hole plays downhill and bends slightly left as it works its way to the green. A pair of fairway bunkers sit in the driving zone on the right while a well placed tee ball down the left can catch a speed slot and roll out several extra yards and open the door to reaching the green in two. A water hazard crosses the fairway about 75 yards short of the green and creates a dilemma to contend with when attacking from distance. The large green is heavily undulated and yields its fair share of three putts, but if you are playing this hole downwind you have a great chance of staring down an eagle putt. 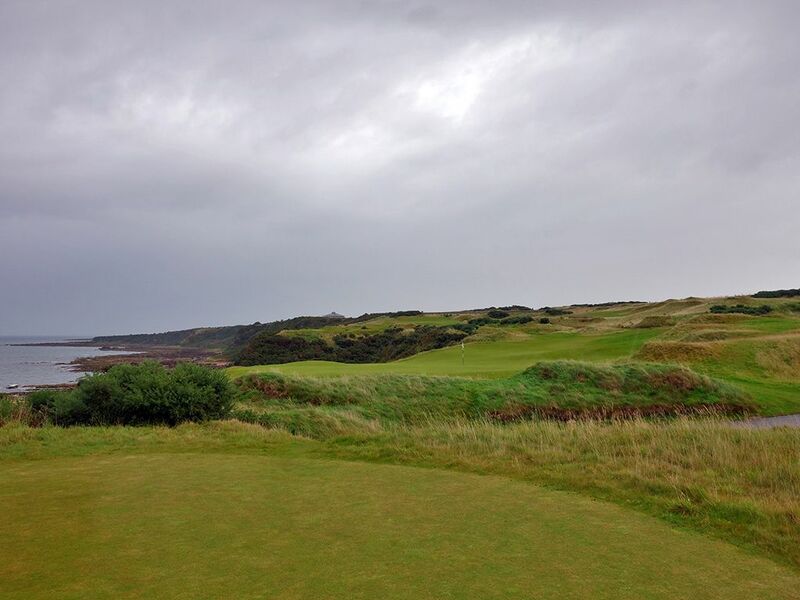 Birdie Time: 8th Hole – 141 Yard Par 3 – Another beautiful hole awaits on the short par three 8th. Tipping out at a mere 141 yards, this hole presents an excellent opportunity to get a green in regulation which is the number one stat that leads to birdies. The green angles away from front left to back right so if you can hit a cut shot you'll have an advantage here, but nothing is wrong with taking dead aim and going after the flag. Avoiding the trio of bunkers fronting the putting surface is critical for success, but with a large green to attack and a wedge or low iron in your hand, you should be swinging with confidence. 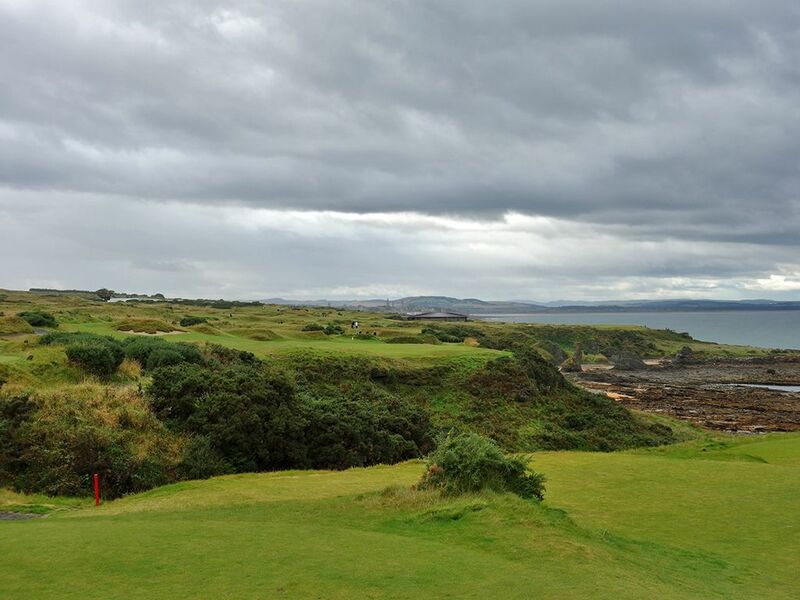 Bogey Beware: 12th Hole – 454 Yard Par 4 – There are numerous holes on the Castle course at St Andrews that one will be battling to avoid bogey on, but the 12th is the king of the bunch. 454 yards is already plenty of distance to cover, but add in the fact that the hole plays well uphill and terminates at a raised green with a false front, and you have a flat out beast to tame. Nearly a dozen bunkers coming into play enroute to the putting surface with a half dozen of them protecting the driving zone. 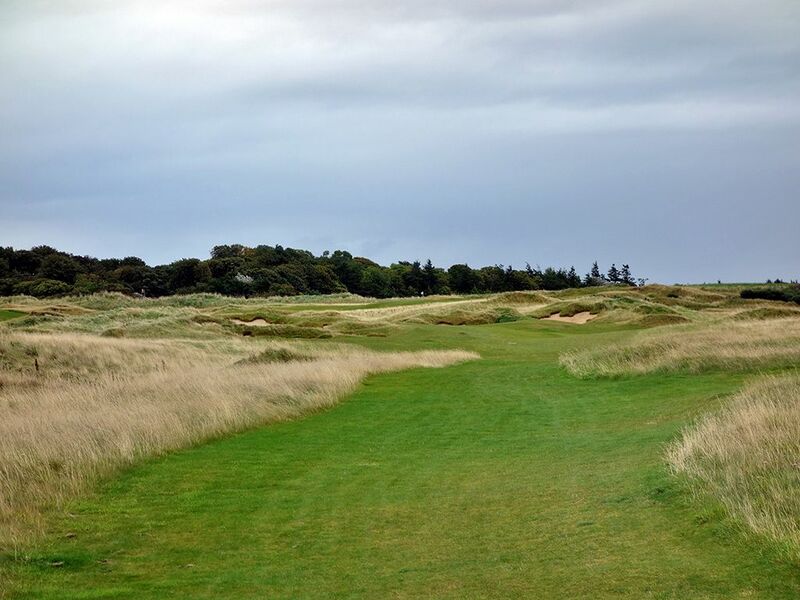 With uneven lies abounding, plenty of trouble to get in, and the steepest climb on the course, the 12th hole presents the toughest green in regulation on the course and maybe in all of Scotland.